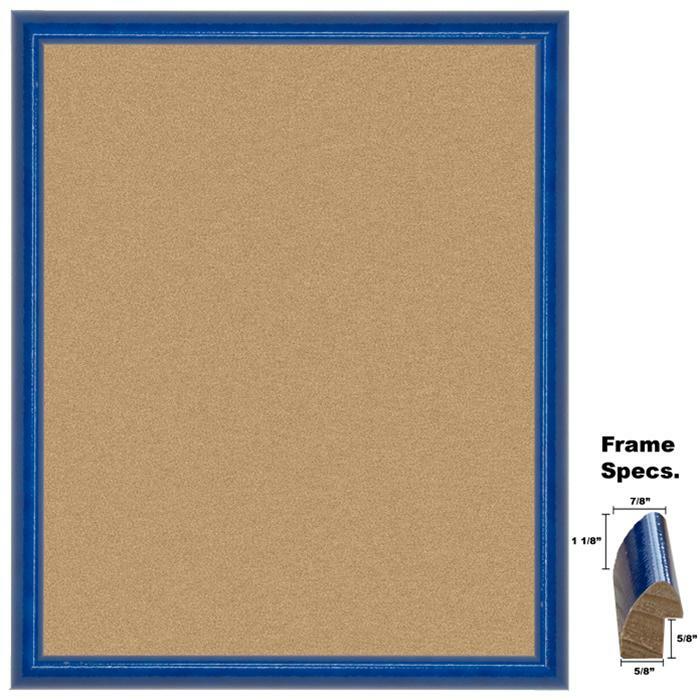 Blueberry framed cork bulletin board. This bulletin board features a high gloss semi textured frame. Frame is also made from real wood and has a nice quality cork surface. These bulletin boards are not the cheap quality found in most office supply stores! Sizes listed are for the size of the cork surface. For the finished size add on 1 1/4"
11x14" Outside is 12 1/4" x 15 1/4"
16x20" Outside is 17 1/4" x 21 1/4"
18x24" Outside is 19 1/4" x 25 1/4"
24x30" Outside is 25 1/4" x 31 1/4"
24x36" Outside is 25 1/4" x 37 1/4"
We can also make this board in just about any size. Contact us about custom sizes.